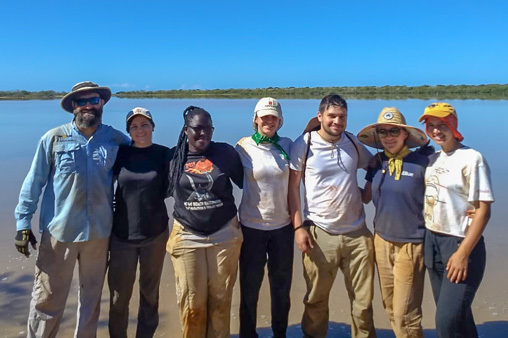 Students participate in an archaeological dig during spring break inside Cabo Rojo National Wildlife Refuge, along the southwestern coast of Puerto Rico. 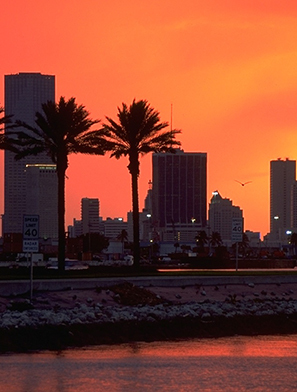 Photo courtesy of Valeria Botero. 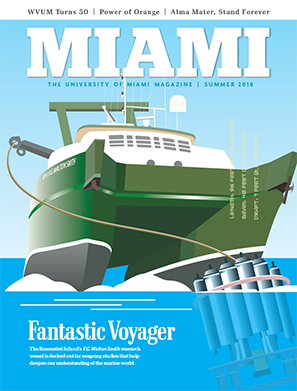 For some University of Miami students and faculty, spring break resulted in field trips to the Caribbean. 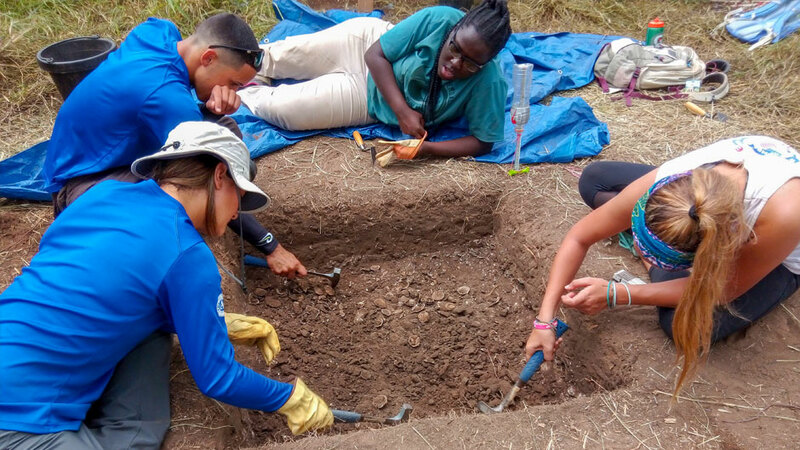 Associate professor William Pestle, a bio-archaeologist in the College of Arts and Sciences Department of Anthropology, spent the week with 13 UM students in Cabo Rojo in southwestern Puerto Rico, where he led them on an archaeological dig. 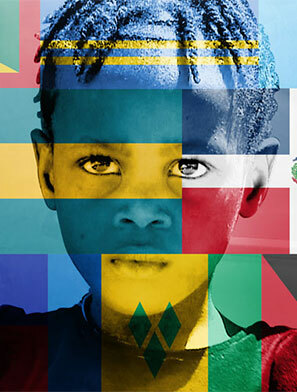 Pestle said the trip helps him advance a multi-year research project documenting the relationship between climate change and human inhabitation in Puerto Rico’s most arid region. UM students Carlos Mora, Chelsea Nielsen, Jessica Joseph, Elise Herschlag, Alan Martin, Valeria Botero, and Stefanie Suarez along a salt flat in the Cabo Rojo National Wildlife Refuge. Yet the trip, which is part of Pestle’s spring class—Field Studies in Anthropology—also gives the students experience in basic archaeological techniques. Pestle said students interested in doing archaeology nearly anywhere in the world can use the methods they learned in Cabo Rojo. In the four years he has been taking classes to Puerto Rico, Pestle said UM students have been able to locate 43 new excavation sites. Senior Tamia Medina, an anthropology major, said she loved participating in a dig and learned how ancient Puerto Rican natives used natural resources such as shells to make tools. “One of my life goals is to have taken part in an archaeological dig, and this course helped me do that while also learning about a culture and a profession,” she said. 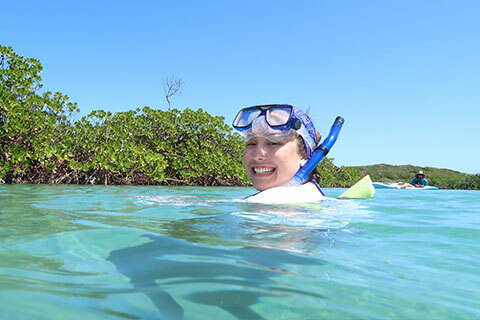 Meanwhile, associate professor of biology Kathleen Sullivan Sealey, who heads the Coastal Ecology Laboratory, spent the week on the island of Great Exuma in the Bahamas with four students. While biology Ph.D. candidate Jacob Patus examined the impact of sea level rise on coastal wetlands, Ph.D. candidate Zoi Thanopoulou investigated the influence of climate change on coral distributions. Ph.D. candidate Zoi Thanopolou in Great Exuma during spring break. In addition, master’s candidate Krystle Young and junior Caitlin Camarena, an ecosystem science and biology double major, also assisted Sealey to continue mapping the wetlands of the island and to document the impacts of pollution on fish habitats. They also examined the impact of the hurricanes in 2015 (Joaquin), 2016 (Matthew) and 2017 (Irma) on Great Exuma.